Manchester City manager Pep Guardiola confirmed in his pre-Southampton press conference (via Manchester Evening News) that Kevin De Bruyne would be out for six weeks with a fresh knee injury, but the Catalan boss certainly did his best to put a positive spin on the news. “I was so sad, I didn’t see him after the game. The next day he’ll be strong again, he’ll spend the time with his new boy. Hopefully we’ll be in the knockout of the Champions League when he comes back. That will help us in the last part, that he will be fresh and help us reach our targets. City will of course miss De Bruyne, but so far this season they have been able to get by without him and still remain at the top of the Premier League. Guardiola clearly thinks that the time off will do his Belgian superstar good too. De Bruyne played through the whole summer as Belgium finished third in the World Cup, but the Carabao Cup win over Fulham on Thursday was his first domestic start of the season having suffered a similar knee injury in August. 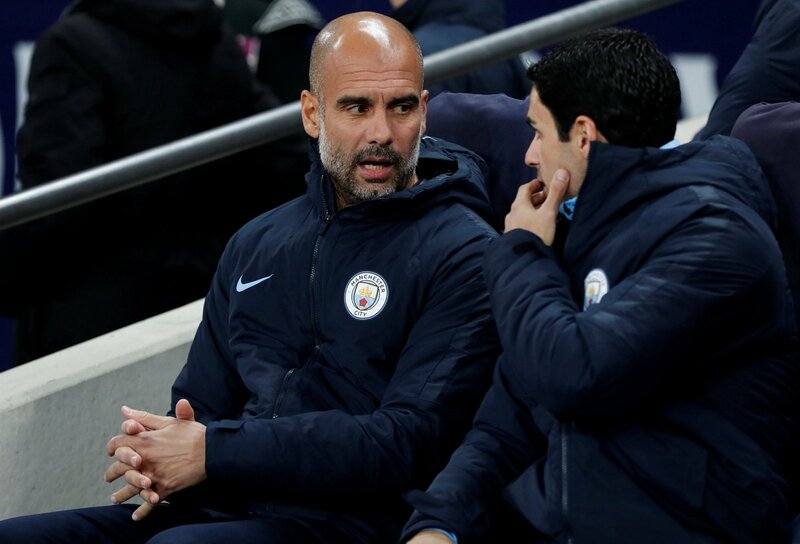 Now though, Guardiola has confirmed that De Bruyne will have time with his family and newborn son, whilst also visiting the seemingly magic Dr Cugat, all of which could certainly help with the midfielder’s state of mind. Guardiola’s comments about the return to fitness of Gundogan will also offer comfort to City fans. The German midfielder has missed six games in all competitions with a hamstring injury, but he will get the chance to step up in De Bruyne’s absence. The 28-year-old has already netted once and provided two assists this season despite making only six starts, and his quality will certainly help the Citizens. As well as Gundogan, Bernardo Silva has taken up the mantle of creative midfielder this season, and the diminutive Portuguese international has been in spellbinding form. With five goals and two assists, Silva will no doubt continue to shine from a deeper position now that De Bruyne has suffered another setback.